machine manages it with relative ease. or food or some other detail. picking up these kinds of geolocation cues. only the pixels it contains. specific things such as pets, food, and so on that have no location cues. polar regions, where few photographs have been taken. their accompanying Exif location data. particular grid location or a set of likely candidates. PlaNet—in a number of different ways to see how well it works. photos and the continent in 48.0 percent of them. Jobs are vanishing much faster than anyone ever imagined. that 45% of all US jobs could be automated away within the next 20 years. But today that sounds all but inevitable. million truckers out of work. matter of time before some sort of automated system replaces them, too. 8 million Americans work as retail salespeople and cashiers. Many of these jobs will soon be automated away. walk in, grab what you want, and walk out. Achtung! Germany hates Cayla and so should you. German regulators have banned an internet-connected doll called ‘My Friend Cayla’ that can chat with children, warning that it was a de facto “hidden spying device”. Parents were urged to disable the interactive toy by the Federal Network Agency which enforces bans on surveillance devices. Cayla looks like an everyday doll and gives no notice that it collects and transmits everything it hears — in this case, to a voice-recognition company in the U.S. whose other customers include intelligence agencies. A doll called My Friend Cayla listens a little too well, according to German regulators who say the toy is essentially a stealthy espionage device that shares what it hears and is also vulnerable to takeover by third parties. “Cayla ist verboten in Deutschland,” says Jochen Homann, the president of Germany’s Federal Network Agency (the Bundessnetzagentur), announcing a ban on the doll in Germany on Friday. Cayla will also dial the Hitler phone and tell them what your parents are saying…..
Adolf Hitler’s bunker phone, which has been described as the Nazi leaders’ “mobile device of destruction,” will be sold this month at an auction in the U.S. The phone, which has been held at an English country house since Hitler’s suicide in 1945, is set to be sold in Maryland by Alexander Historical Auctions on Feb. 19, according to the New York Post. 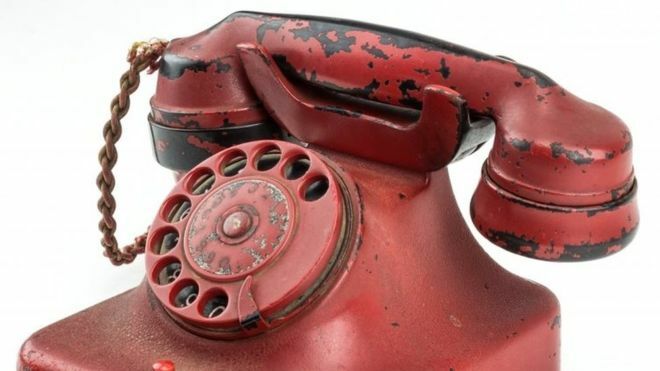 According to the auction house, Hitler’s phone, painted in red with his name engraved, was “arguably the most destructive ‘weapon’ of all time, which sent millions to their deaths around the world,” CNN noted. Hitler was known to use the bunker telephone to give commands that led to the deaths of millions of Jews during World War II, according to a catalog for the auction house. The “death phone” could go for more than $500,000 at the upcoming auction. Author cyberplaygroundPosted on 02/27/2017 Categories NetHappeningsLeave a comment on Achtung! Germany hates Cayla and so should you. Just who are these 300 so called “scientists”??? A retired geologist and a public servant? I performed a google scholar search on “AI Adam” to find out what is picked up as any studies written by someone named “AI Adam.” Nothing. If you can find his book on Amazon, you will see his biography states he’s a retired geologist, got a degree from a university in the UK (discipline not specified), he worked in fossil fuel and mineral industries in Australia and other countries. Oh, and currently he has “wide interests”. Ralph B. Alexander is a former Associate Professor of Physics at Wayne State University and former President and co-founder of Ion Surface Technology, a small high-tech materials company. He is currently the owner and president of R.B. Alexander & Associates Inc., an independent consulting firm specializing in advanced materials and surface engineering. President Trump doesn’t have to publicly disclose his tax returns, now or ever. But some members of Congress can, if they want. Michael Flynn’s Resignation Has People Talking About the Logan Act. Who Was Logan? George Bush’s grandfather, the late US senator Prescott Bush, was a director and shareholder of companies that profited from their involvement with the financial backers of Nazi Germany. The Guardian has obtained confirmation from newly discovered files in the US National Archives that a firm of which Prescott Bush was a director was involved with the financial architects of Nazism. Prescott Bush, a 6ft 4in charmer with a rich singing voice, was the founder of the Bush political dynasty and was once considered a potential presidential candidate himself. 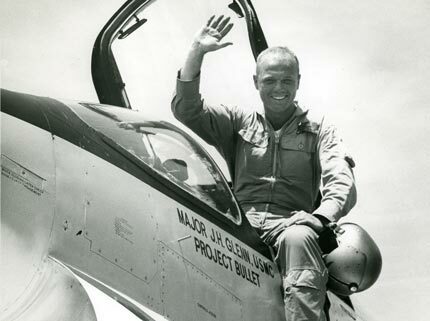 Like his son, George, and grandson, George W, he went to Yale where he was, again like his descendants, a member of the secretive and influential Skull and Bones student society. President Bush’s grandfather was a director of a bank seized by the federal government because of its ties to a German industrialist who helped bankroll Adolf Hitler’s rise to power, government documents show. Prescott Bush was one of seven directors of Union Banking Corp., a New York investment bank owned by a bank controlled by the Thyssen family, according to recently declassified National Archives documents reviewed by the Associated Press. and https://democracy.io/ make it trivial to send a message to your representatives. “Activists and congressional staffers say yes. But the simplicity of making electronic contact today has created another problem: While it’s become easier than ever for the public to contact Congress, it hasn’t gotten any easier for congressional staffers to actually do anything with the feedback they receive from constituents. In many cases, it’s not that Congress can’t hear you. It’s that the flood of voices so overwhelms the bureaucratic machine that any one citizen becomes hard to hear. There’s a disconnect between the public’s expectations of their communications with their representatives and the reality of how those communications are handled. Research by Zogby found that email is the most common way to contact Congress, and that most people expect a response to their messages. Yet a third of people who email Congress receive no response, and nearly half of those who did receive a response found it lacking, usually because they believed it failed to actually address their issue. The reason for those dismal results is simple: Members of Congress are only allowed to hire eighteen staffers each. That means that as the volume of email grows, those dozen-and-a-half staffers are stuck with more work, and Congress can’t hire more people to help. And while apps like Countable have made sending email to Congress easy, the software that staffers have to process those emails remains antiquated, says Seamus Kraft, the executive director of the OpenGov Foundation, a non-partisan, non-profit organization he co-founded with US representative Darrell Issa, a California Republican. phone calls are better than email, and that showing up in person to district offices or town halls is better than phone calls. But email and social media make a difference too, as long as those communications are personalized. 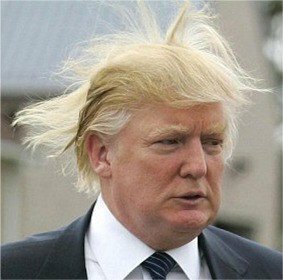 A Bavarian maker of Donald Trump-style wigs said on Wednesday her factory has been overwhelmed by demand for the U.S. president’s blonde coiffure from Germans preparing for carnival celebrations this week. “castrate” men by cutting off their ties. College Board SAT security is still a joke! The owner of the SAT college-entrance exam, which has been plagued by a raft of cheating incidents overseas, outlined new security measures but stopped short of remedying the test’s biggest vulnerability. – The owner of the SAT college-entrance exam, which has been plagued by a raft of cheating incidents overseas, outlined new security measures but stopped short of remedying the test’s biggest vulnerability. The New York-based College Board said the steps include reducing the number of times the test is given outside the United States and increasing the auditing of test centers. But the not-for-profit organization did not say it would end its practice of reusing test forms overseas that were initially given in the United States – the source of many of its security lapses in recent years. As Reuters reported last year, the College Board has failed to stop a widespread and known security problem. Asian test-preparation companies are gathering questions and reading passages from past SAT exams, and then giving their clients that material to practice upon. The questions later show up on SAT exams administered overseas, giving an unfair advantage to students who have seen them. Reuters reported last week that parts of the January exam given in Asia originally had been administered last June in the United States. The June test was widely available in China and had been sold to students in South Korea. Reuters obtained more than 200 pages of scans and photographs of the leaked exam. Zach Goldberg, a College Board spokesman, declined to say how many students had their scores canceled or in which countries they took the test. The College Board’s chief executive, David Coleman, said at a conference last September that the organization planned to scale back its reuse of tests. Goldberg declined to say today whether the College Board will halt the practice overseas. The College Board said starting this fall, it will cut the number of test administrations overseas from six a year to four. The SAT will only be offered in October, December, March and May. This June’s international test sitting will be canceled. The College Board previously had reduced SAT administrations from six to four in South Korea, Egypt and Saudi Arabia after determining in 2013 that tests had leaked there. But at the time it decided not to take similar action in China, even though it knew that a Chinese website had “compromised” four SAT exams, according to an internal College Board PowerPoint presentation seen by Reuters. A spate of cheating incidents in China and other countries ensued. The College Board said its new security measures include providing law enforcement and other government agencies with the names of test prep companies and individuals suspected of stealing test materials. It promised to make it easier for students and teachers to anonymously report suspected cases of cheating. Author cyberplaygroundPosted on 02/23/2017 Categories NetHappeningsLeave a comment on College Board SAT security is still a joke!